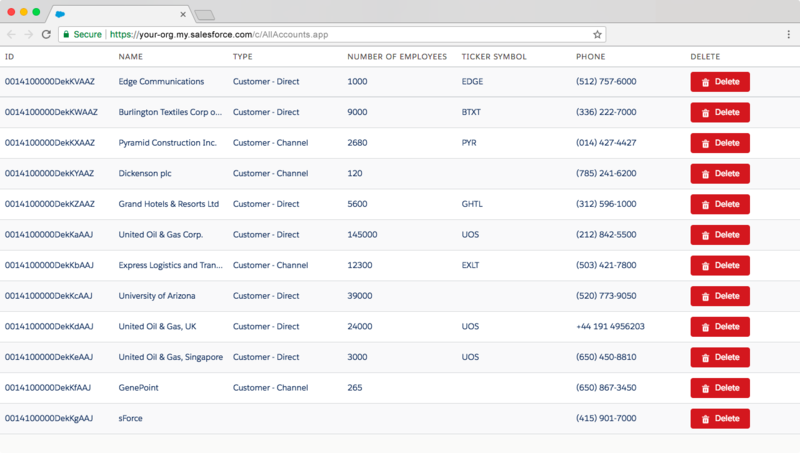 In this project, you learn how to use the Salesforce Lightning Design System (SLDS) CSS framework in Lightning Components. 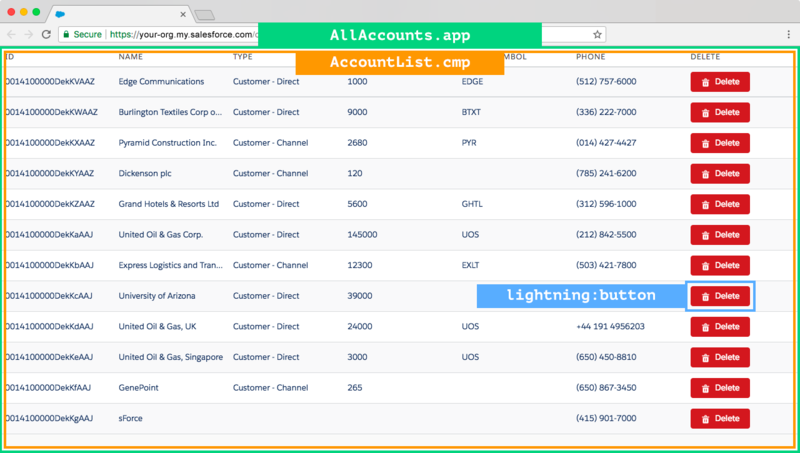 Using SLDS in Lightning Components makes your app look modern, responsive, and similar to Lightning Experience. Here is what your final app will look like. The general idea is to build a shell or dummy app that wraps all the components. That way, you can test other components inside it. You start by building the smallest and the innermost components first and then build the outermost components later. We’ll build the components in the following order.